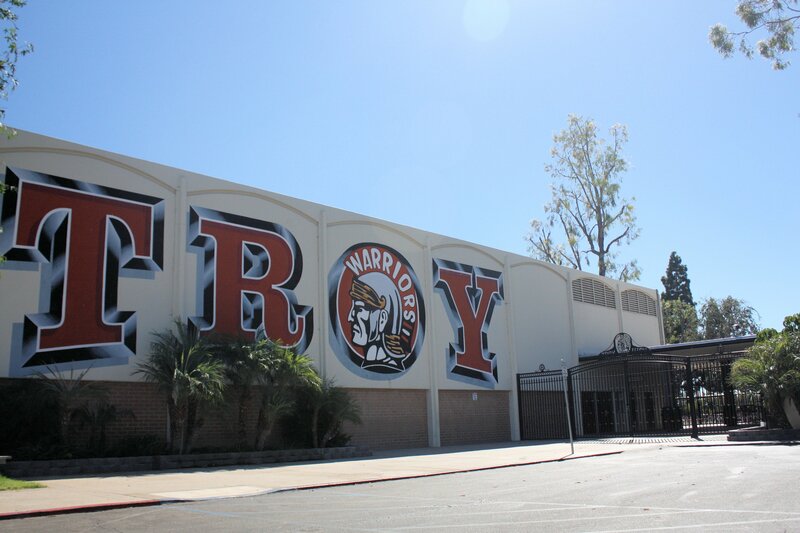 Troy High School is a public magnet school situated in Fullerton, California, USA, acclaimed for its Troy Tech and International Baccalaureate programs. It is located in the Fullerton Joint Union High School District. It is also identified as a National Blue Ribbon School as well as a California Distinguished School. What qualifies them as such? Each year since 1982, the U.S. Department of Education has sought out schools where students attain and maintain high academic goals, including those that beat the odds. Troy HS is among those schools noted for their high academic scores. A California Distinguished School is an award given by the California State Board of Education to public schools within the state that best represent exemplary and quality educational programs. Approximately five percent of California schools are awarded this honor each year following a selection process. Eligibility is based on federal and state criteria including the No Child Left Behind program, Academic Performance Index (API), and Adequate Yearly Progress. 98 percent of Troy’s students attend colleges and universities.